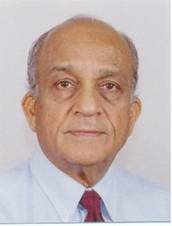 I am a Professor in the School of Economics, Banking and Finance, Fiji National University (FNU), Nasinu Campus, Suva, Fiji Islands. Before joining FNU, I was teaching at the University of the South Pacific (USP), Suva, Fiji Island for about 14 years until August 2012. Earlier, I was a Senior Economist with the Manila-based Asian Development Bank (ADB) for more than 15 years. My research paper on Determinants of Foreign Direct Investment in the South Pacific Island Countries: a case study of Fiji was adjudged the Best Conference Paper, presented at the University of Sussex’s World Association for Sustainable Development (WASD) sponsored Second Conference on Globalization, Technology and Development, held at the University of Arab Emirates, Al Ain, December 2005. The full citation of the article is: “Determinants of Foreign Direct Investment in the South Pacific Island Countries: A Case Study of Fiji”, World Review of Entrepreneurship, Management, and Sustainable Development, 2(4) 2006: 309-322. 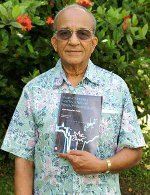 My article on Economic Integration in the Pacific: A Review of Past Efforts and Future Prospects won the Vice-Chancellor’s (Inaugural) 2008 Prize for Best Staff Research Publication. The Full citation of the award winning article is “Economic Integration in the Pacific: Review of Past Efforts and Future Prospects”, Chapter 8 in E. Kisanga and S. Danchie (Eds.) Commonwealth Small States: Issues and Prospects, London: Commonwealth Secretariat, 2007. Visiting Lecturer, Pacific Island Studies, University of Canterbury, NZ, 1997-98.
International Collaborative Partner, Global Research Network Program, UTAR, Malaysia. Growth and oil price: A study of causal relationships in small Pacific Island countries. 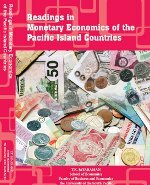 Role of Remittances in Economic Growth in Pacific Island Countries: A Study of Samoa.